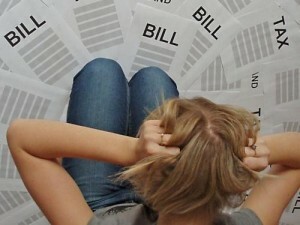 What to do when a debt management plan leaves an unpaid debt? Question: I went through a credit counselor to consolidate and pay off my debt (via debt management plan). However, one account (a credit union) said they never got the full amount and that I still owe money…not to mention, they tacked on huge interest fees. I went back and forth with many different customer service reps for this credit union, each time having to explain the whole situation, and each time the person would say they’d have to investigate and call me back in 10 days. It was never 10 days, more like a few months at least. As I’d been waiting for the last call back (I forgot about it). Now, months and months later I received a letter from a collection agency notifying me of the amount I owe from this credit union. I never once received any notice that it was even going to collections. I called the collection agency (prior to visiting your website) and told them that I’ve paid this bill and I’d need a few days to send them proof of payment made through the consolidation service. Should I send copies of my receipts? Do you have any advice you can offer in trying to resolve this matter? Answer: First, repeatedly spending time on the telephone, speaking with “customer service reps” is a waste of time. If the problem was not solved with the first call, it is not likely to be solved with the 2nd, 3rd, or 4th customer service representative. Don’t do that again, especially with a credit union. Keep in mind credit unions give you a unique opportunity to take your complaints directly to someone who can get them resolved. They are typically governed by the members and the members are the owners of the credit union. Members elect their board of directors. This gives you more options to resolve problems. 1. Go directly to the board of directors. Writing a certified letter to the board of directors to present your issue will get IMMEDIATE action! Enclose whatever proof you have to back up your payment claims. 2. State banking commission. Make a complaint with your state’s banking commission or department of finance. They oversee the operations of state-chartered financial institutions. Banks and credit unions do not like complaints going to the State. Once the State gets involved they must respond within a certain number of days to resolve the issue. 3. Dispute directly with the credit union. If the credit union reported any negative information to your credit report you can dispute the information directly with the furnisher of information (credit union). Under the Direct Dispute Rule the credit union has 30 days, just like the credit bureaus; to resolve the matter. Read more about the direct dispute rule here. In the dispute letter you would enclose your proof of payments. 4. Collection Agency. Deal with the collection agency as you are currently doing and send your proof of payment to them. At this point I would try to deal directly with the credit union since you have proof. You want the credit union to pull the account back from the collection agency and fairly investigate and resolve the matter. You can also contact the credit counseling agency which set up the debt management plan. They should be able to assist you in resolving the matter. Good luck to you.